A Royal Canadian Air Force Boeing C-17 Globemaster, much like this one, was recently taking part in training exercises at the Oshawa Airport. (Photo courtesy of the Royal Canadian Air Force). Residents may have noticed a military plane making its rounds above the city’s skies on a sunny afternoon earlier this month. Oshawa citizens need not fear – it was only doing exercises. Stephen Wilcox, the manager of the Oshawa Airport, says planes from the Royal Canadian Air Force come in from time to time to do practice approaches for the runway, something they do at many airports across the province. Wilcox said the plane being used in this exercise was a Boeing C-17 Globemaster. Wilcox adds that the plane did two approaches on Nov. 16, and does not know the next time the plane will be back. The airport manager says other aircraft that have done practice approaches at the Oshawa Airport include the Lockheed CC-130E Hercules and planes used for search and rescue missions. 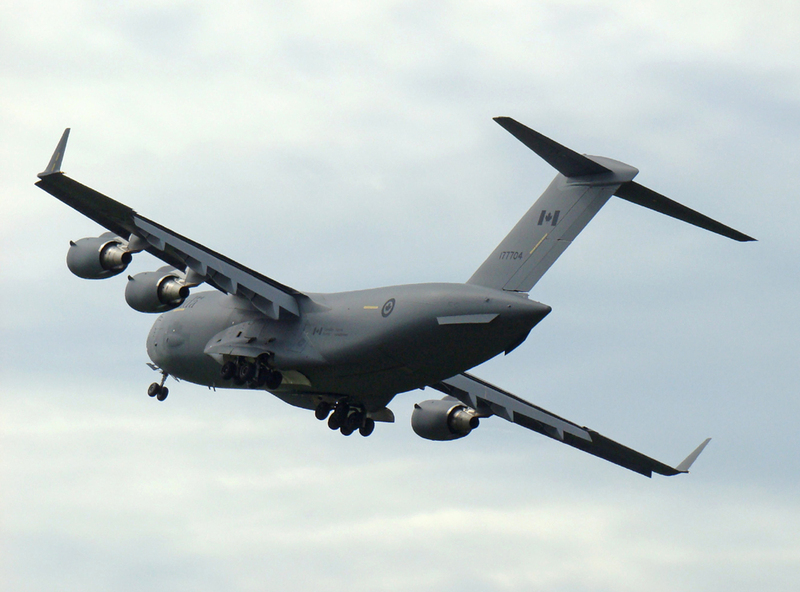 The Globemaster was first delivered to the US Air Force in 1993, with the first squadron becoming operational in 1995. The Royal Canadian Air Force, which had previously used Globemasters leased from its counterparts south of the border, purchased four of its own in 2007, followed by a fifth delivered in March. The five planes are stationed out of CFB Trenton and are assigned to the 429 Transport Squadron.